I noticed the other day that I had forgotten one type of recipes, and a big one: cocktails. I like to prepare them because of their colours and perfumes. 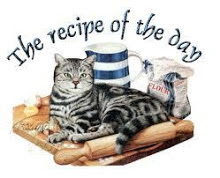 For some recipes, it is really a kind of art! I will show you the ones I can make. This first recipe is an easy one, a Cuban one (you wouldn't guess it from the title, would you? ), because the first person to teach me how to prepare them was my best friend and he turns out to be Cuban. 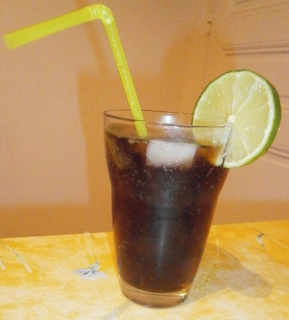 The Cuba libre has some qualities: easy, tasty and cheap! And it is so refreshing! In a glass, put the ice cubes and slices of lime (or just the juice, as you like). Pour the rum, and then fill the glass with coke. Decorate with a lime slice and a straw. Don't hesitate to put ice cubes, a lot, especially when it is warm. Drink chilled, close your eyes and travel far away from your daily life! Bon appétit (or better, salud!!) !! !